We love our work, we love working together and we love our clients. Our clients often become dear friends whom we care for deeply. Nothing pleases us more than creating images, portraits, albums, etc. that our clients will always treasure. Our sessions and products are 100% guaranteed. We won't be satisfied unless you love the work we do for you. Over the years, we've won lots of prestigious awards from the professional associations we belong to - Professional Photographers of North Carolina and Professional Photographers of America. But the "award" that means the most is the high praise we receive from our clients. "We moved to Boone just before our daughters senior year. I researched and called several businesses around the area to ask about photographers around the area. The Burtons were highly recommended by multiple people. After visiting with them we knew they were exactly who we wanted to take senior pictures. They came to our house and land and took amazing photos that we will cherish for a lifetime. I now recommend them to others with full confidence that they will be just as pleased with their pictures as i am with mine." Leslie K.
"We love Burton Photography! 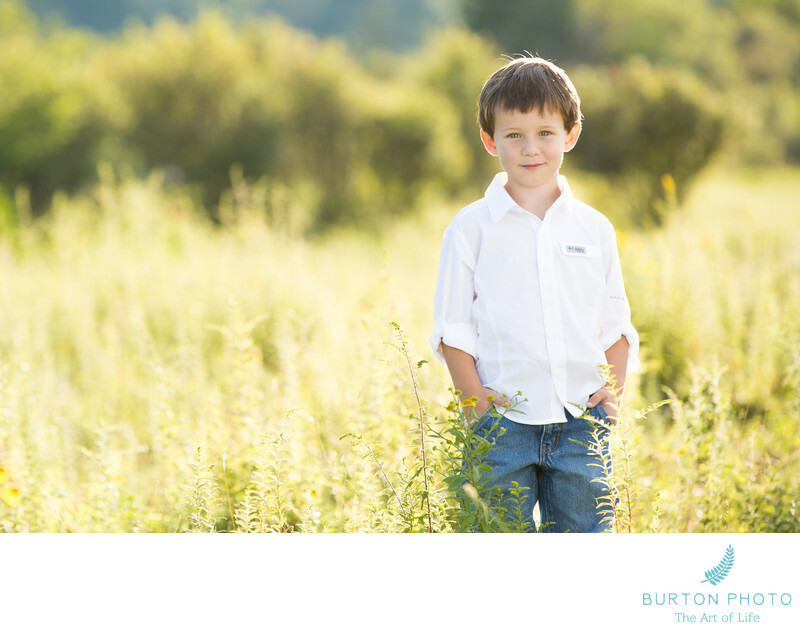 We have so enjoyed working with Jonathan and Bonnie for portraits of each of our boys. We did 3 first year sessions for our first son, and have now began the process for our second as we recently did his newborn pictures, and I cannot imagine using anyone else. Not only have we had such a fun time during the process, but they have created some beautiful works of art for us (despite even a fussy newborn!) that we will forever treasure!" Brittany C.
"Our family had the pleasure of meeting Bonnie and Jonathan Burton three years ago when they photographed our oldest for his senior portraits. We had such a positive experience with them with our son that we couldn't wait for them to photograph our daughter. We were with them from the beginning at the location of shoot and had such a fun time. The Burton's made sure to include our ideas and they took special interest in including specific areas of our daughter's personality. They made it all look so easy when in fact it takes such creativity, passion, insight, and skill. The way they work as a team is simply beautiful. They complement each others styles and have such a love of their craft. Our daughter felt so relaxed and at ease. She said that it was the perfect beginning to her senior year. If you are searching for exceptional photographers, look no more. The Burton's will deliver and you will have a timeless treasure to pass on to the next generation. Thank you Jonathan and Bonnie your labor will be our love forever!" Amy M.
"Jonathan and Bonnie have been making spectacular portraits of our son and family for five years now. Their dedication to perfection is unmatched. We sought them out after seeing multiple portraits they created for friends; all of whom were ecstatic with the quality of service and results they each received. Our experience has been the same. 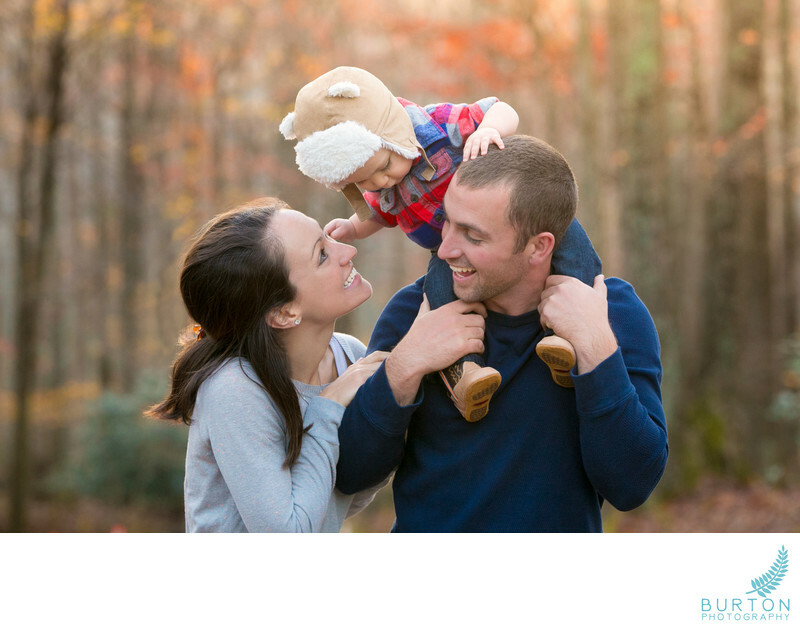 The Burtons have followed us to multiple locations in western North Carolina and Virginia to capture our life in a few frames, and have produced the most indescribably beautiful images each time. The portraits they have created of our son, in particular, seem to have a magical glow about them. The locations we have used as a backdrop are spectacular, yet the Burtons always create an image that allows the subject to shine through the most. We have been amazed and delighted with the results. Just reviewing the images with them after a session has brought us tears of joy more than once. 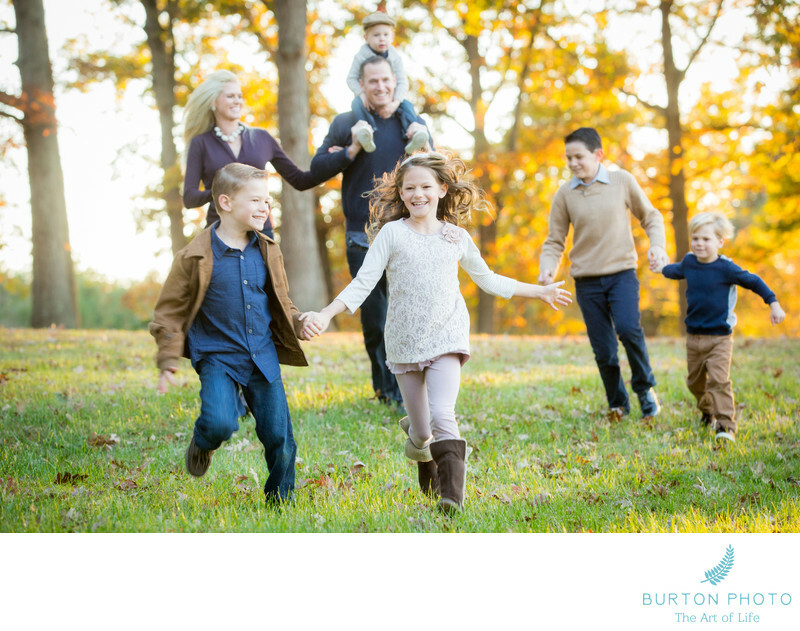 My husband and I wholeheartedly recommend Burton Photography." Kelly M.
"We love everything about working with these two amazing photographers! They are easy to work with and very professional. We have many stunning family works of art on our walls thanks to the Burtons. (And that is no small feat considering we have 5 young children!) I have received countless compliments and treasure capturing these moments in time." Brooke S.